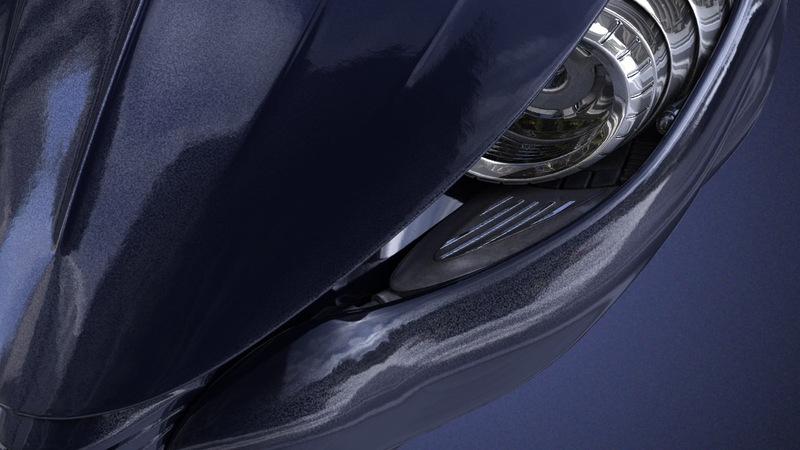 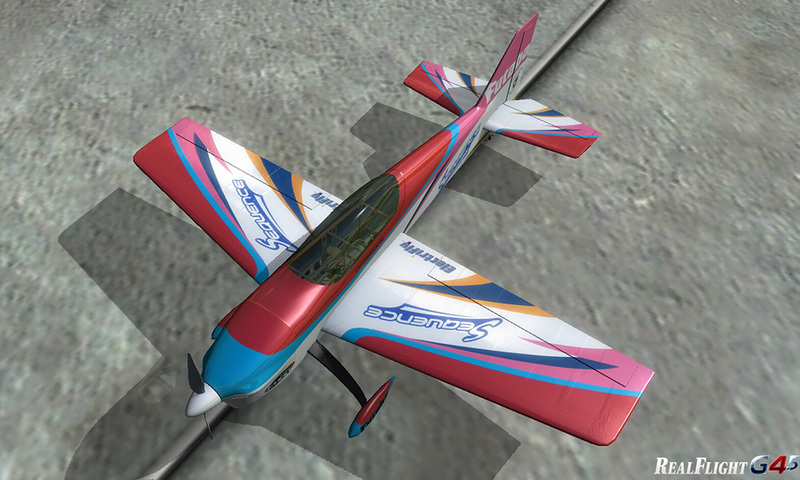 Shoot, other than the brake rotors, this might not need any textures after all. 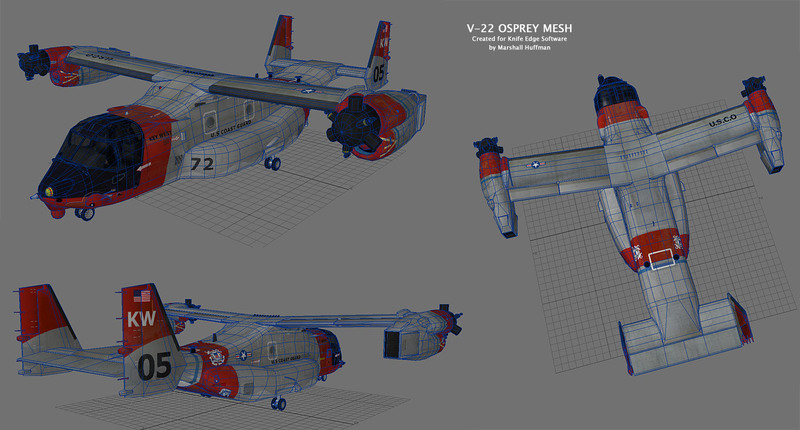 Barring any cleanup or other “housekeeping” type work , the mesh is done. 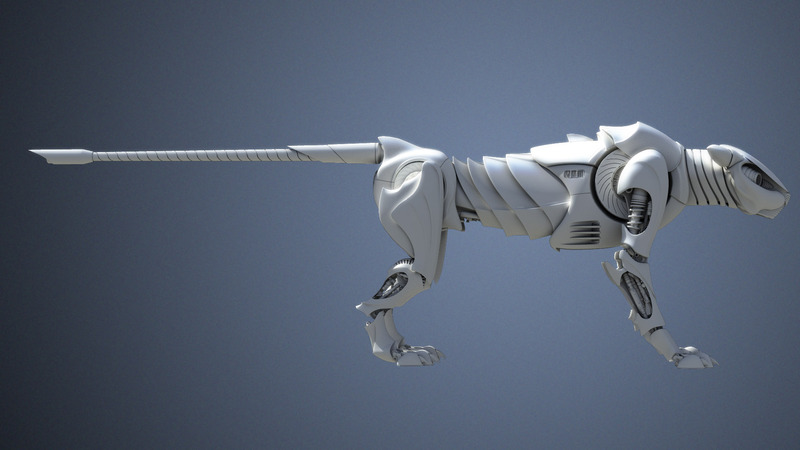 Up next: UVing and some quick textures, then import to Maya for shading. 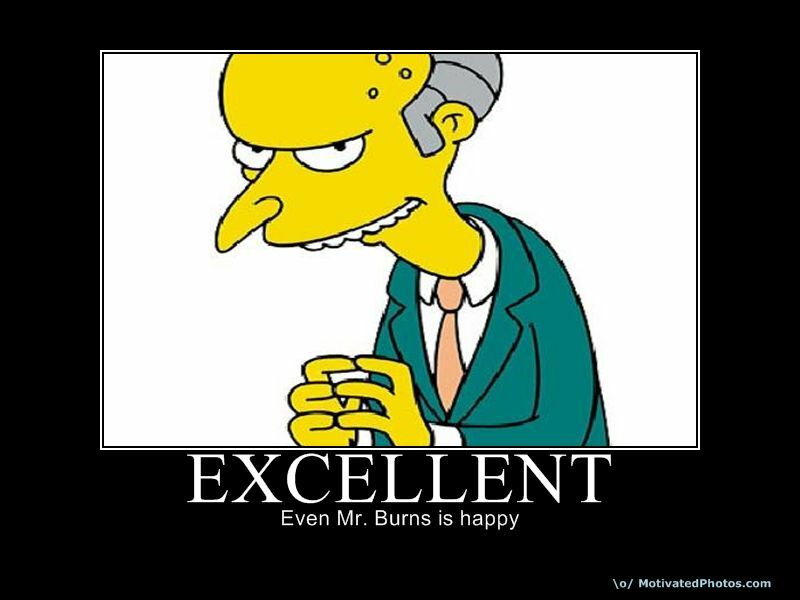 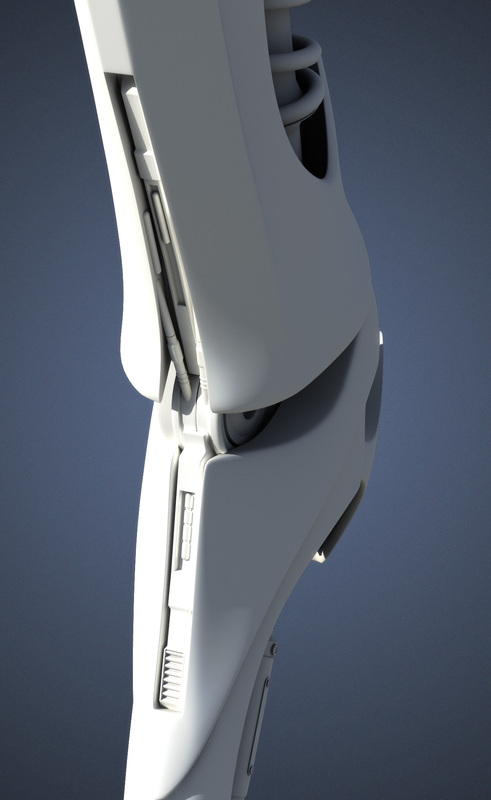 Also: more RAM so I can actually render the thing without running out of memory. 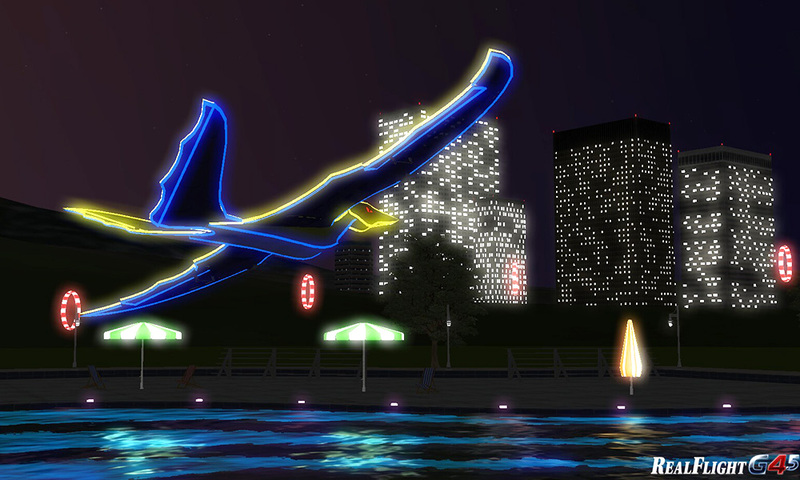 Some additional screencaps in-game of my Knife Edge work. 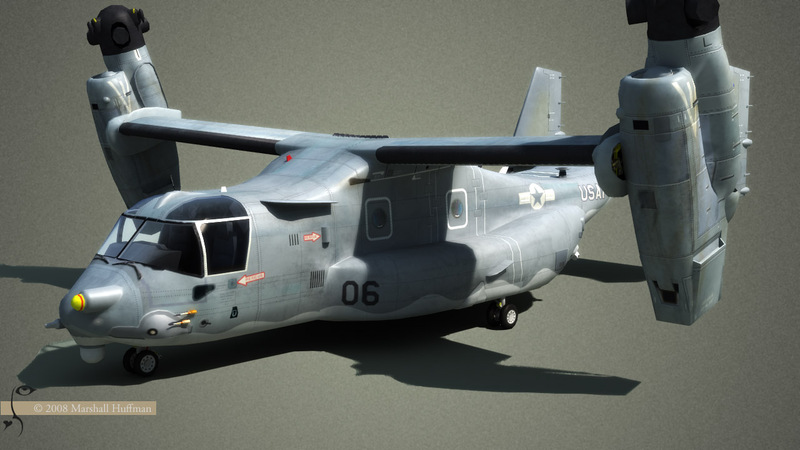 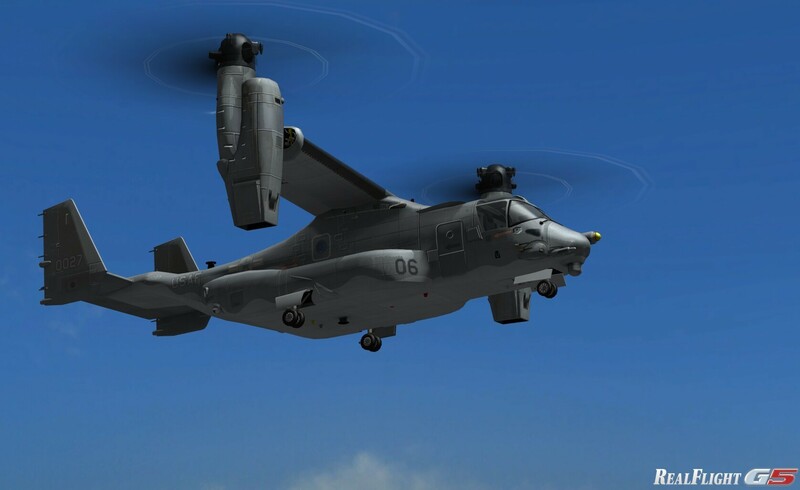 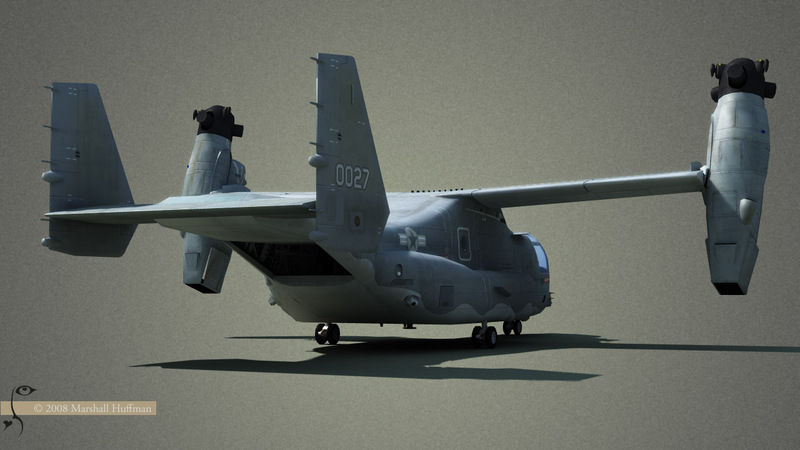 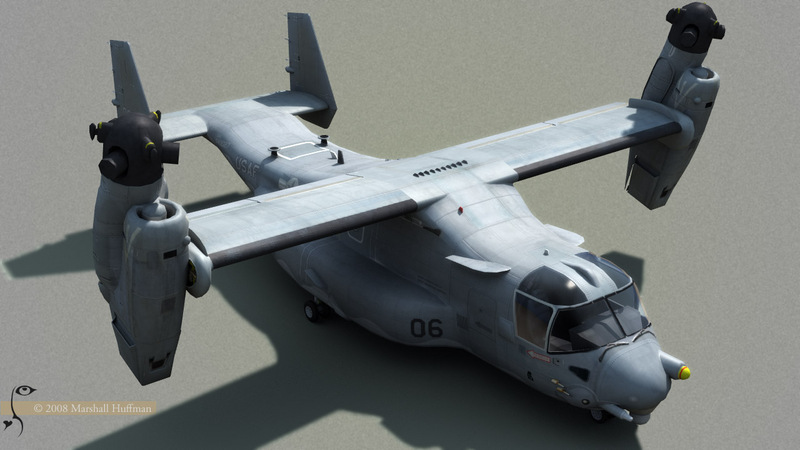 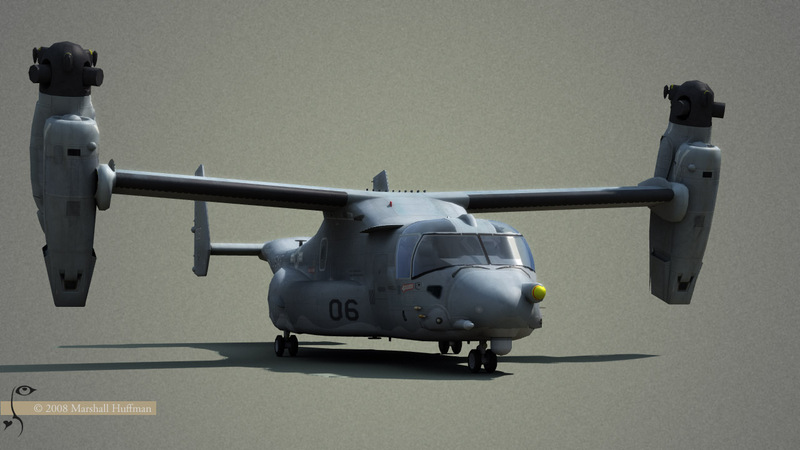 The V-22 Osprey seen in the renders in the prior post is flying in the sim here. 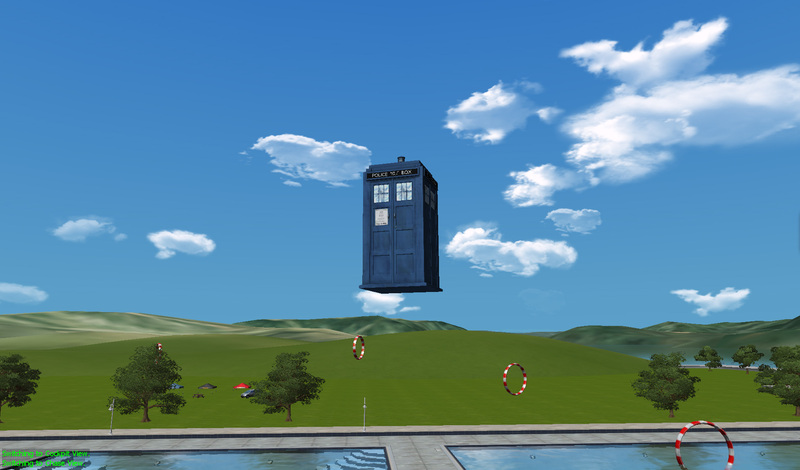 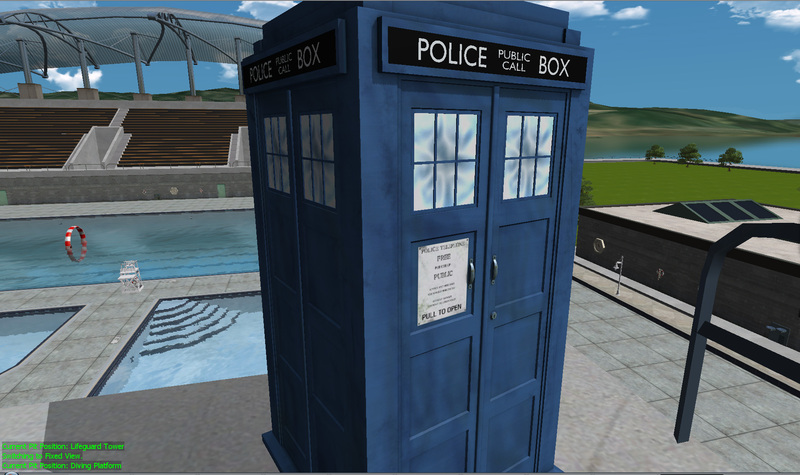 The TARDIS was a joke model built for the heck of it; it didn’t get published, alas, but wouldn’t that have been fun? 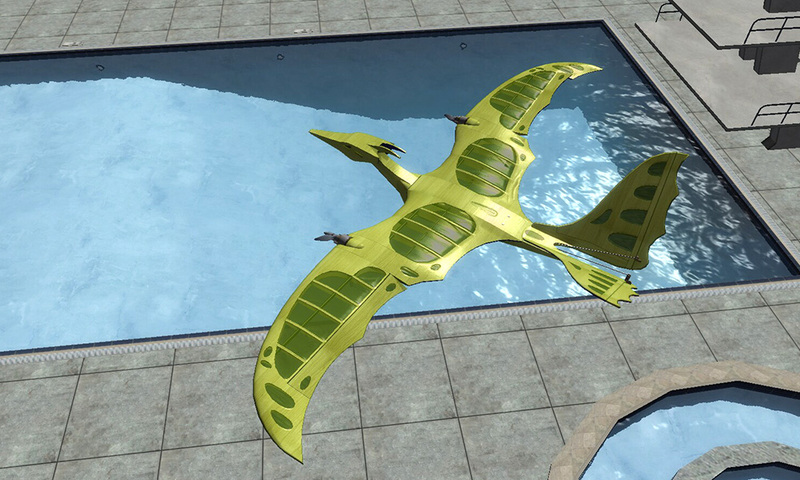 It could even fly! 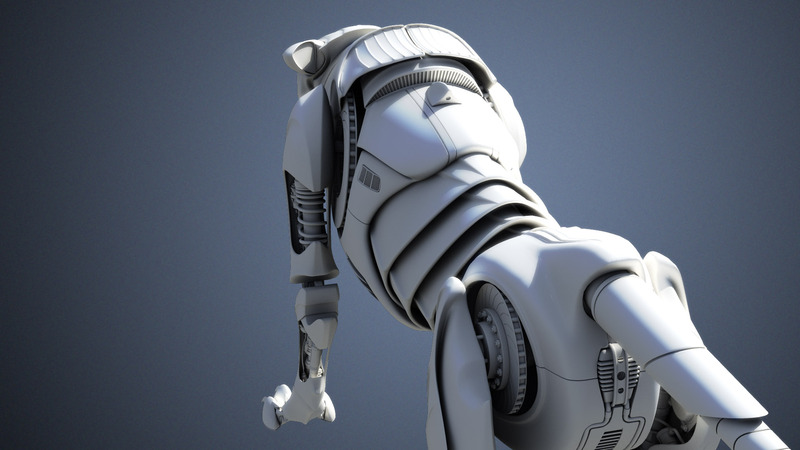 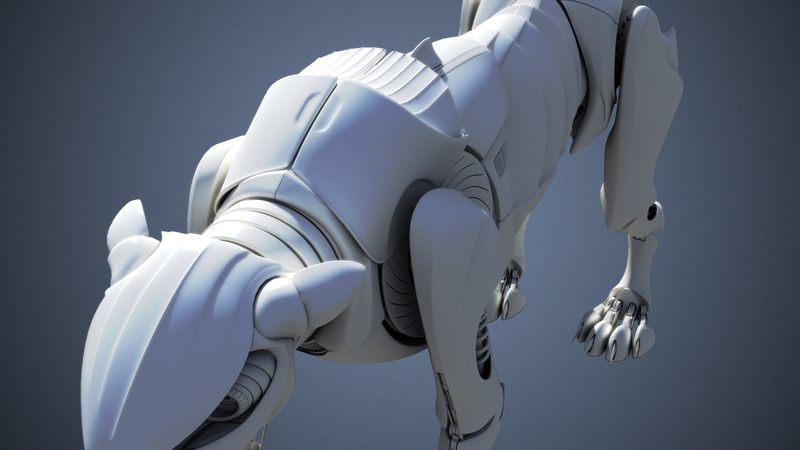 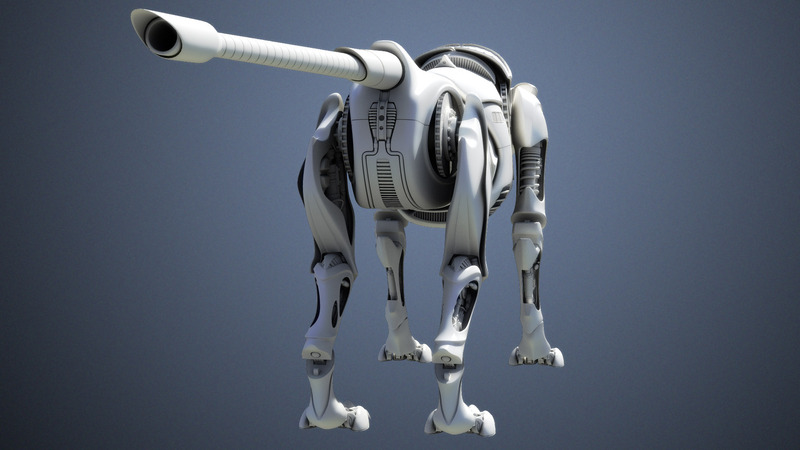 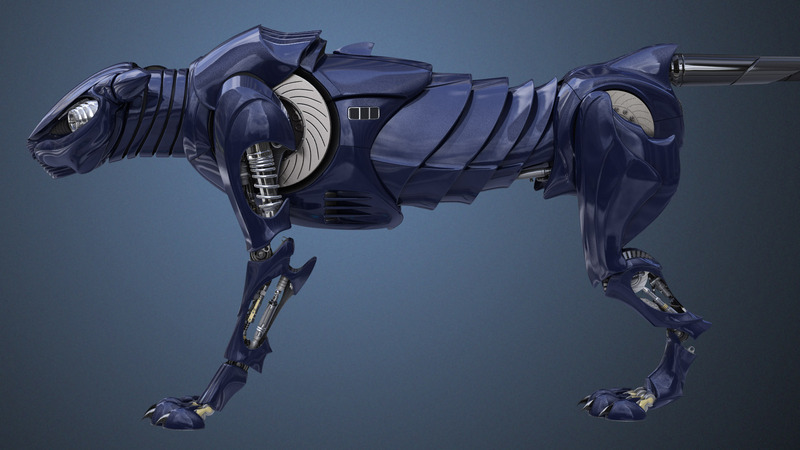 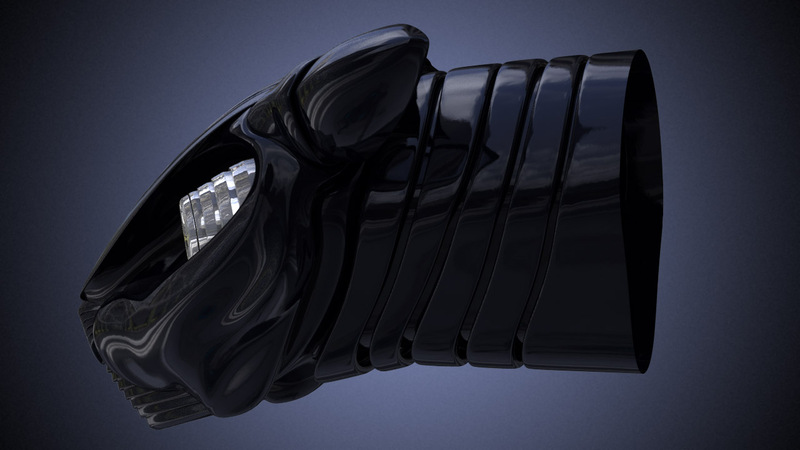 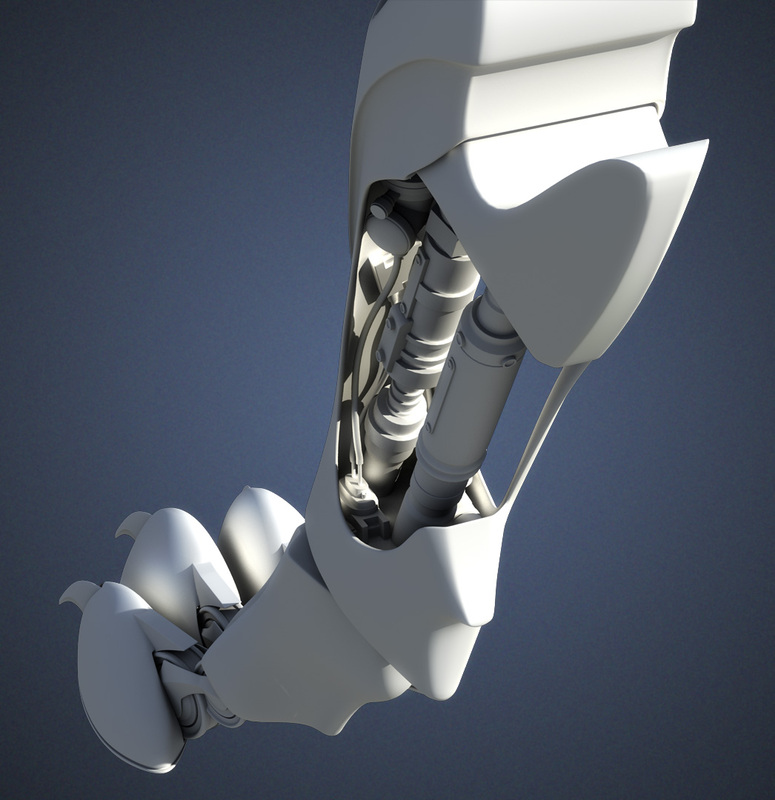 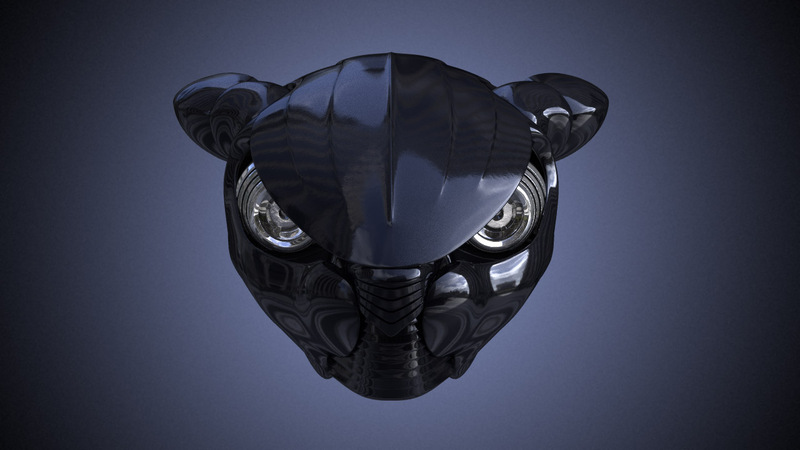 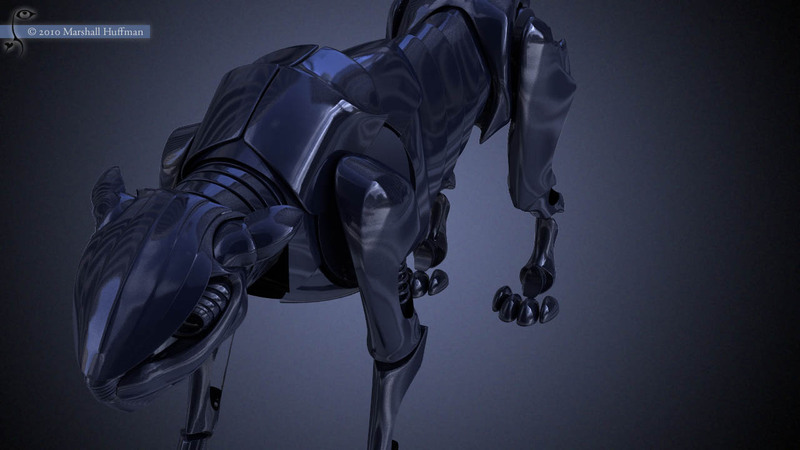 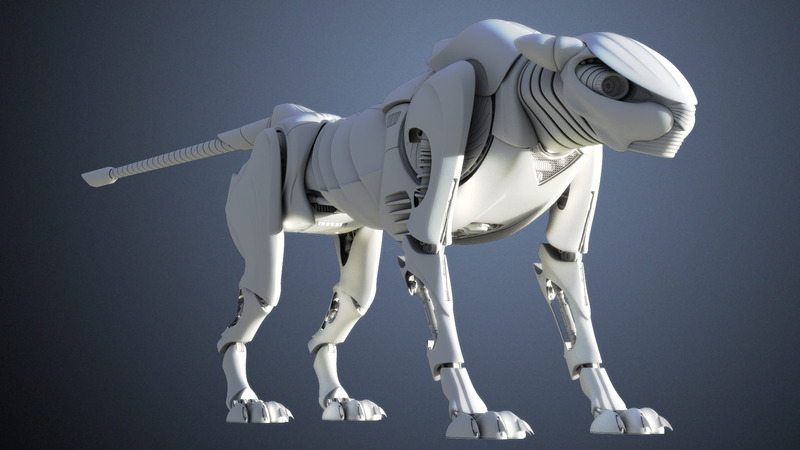 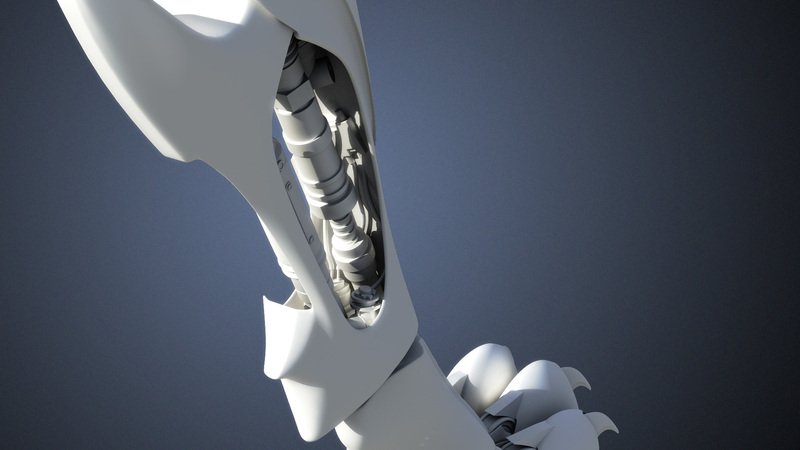 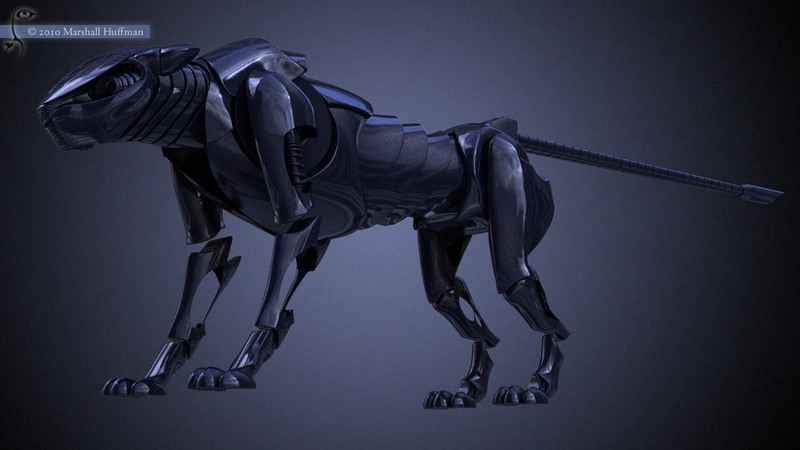 Modeling WIPs on the panther robot being created for a Zoic Studios intern project. 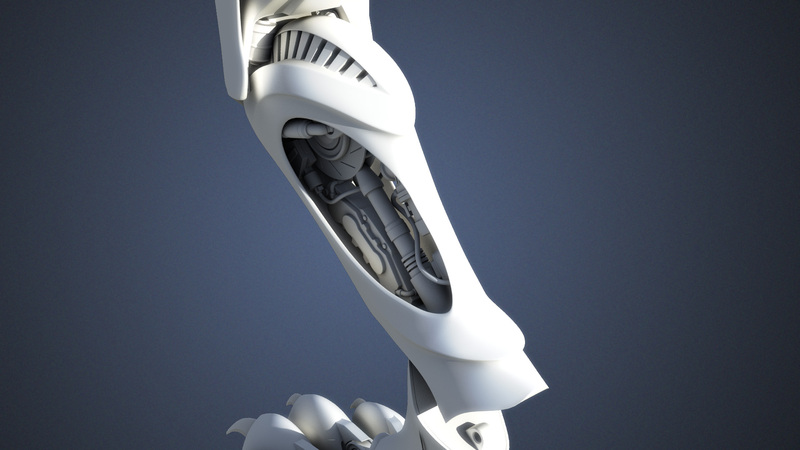 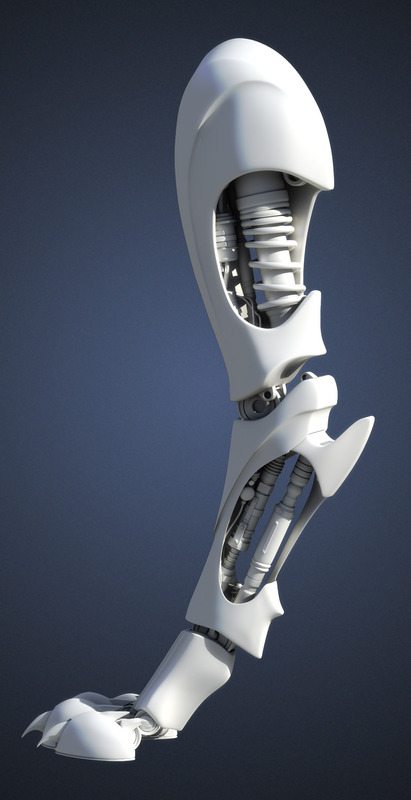 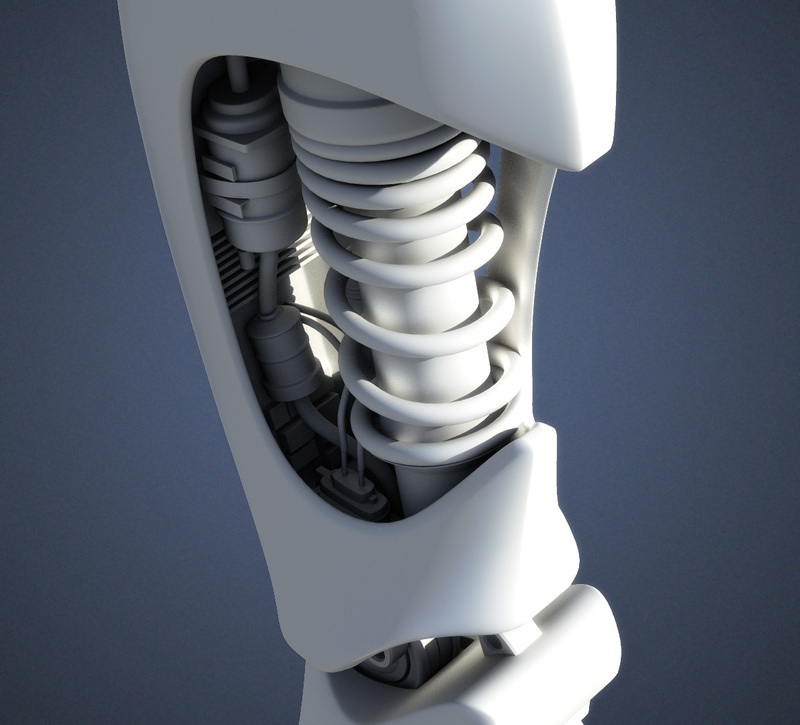 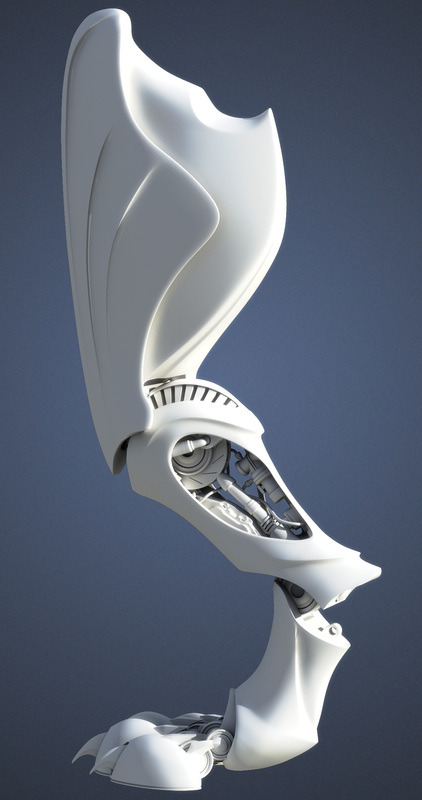 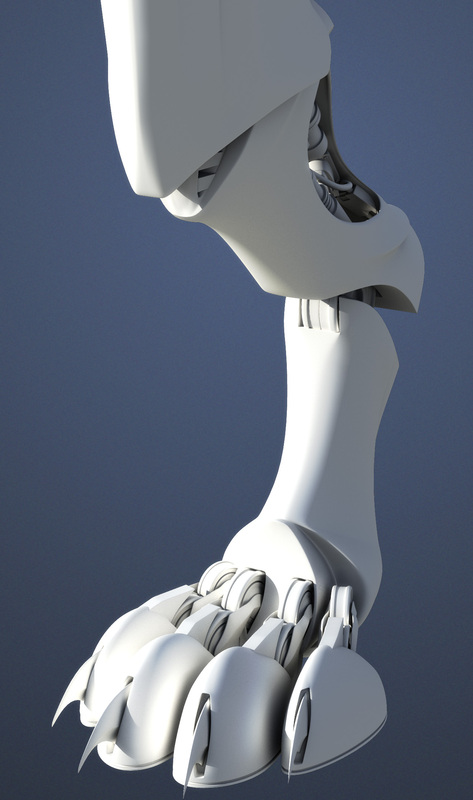 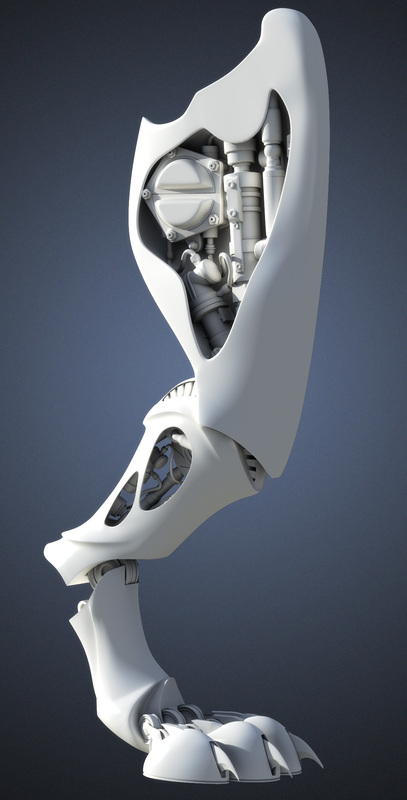 Robot designed by Alex Alvarado. 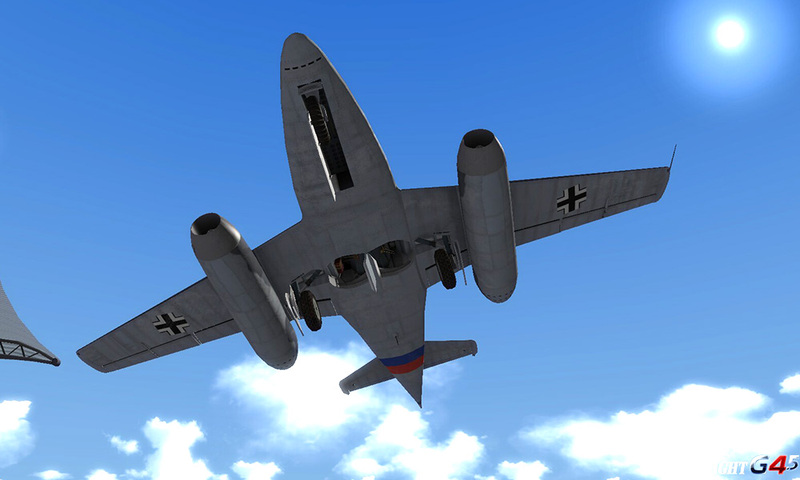 Knife Edge flight sim aircraft. 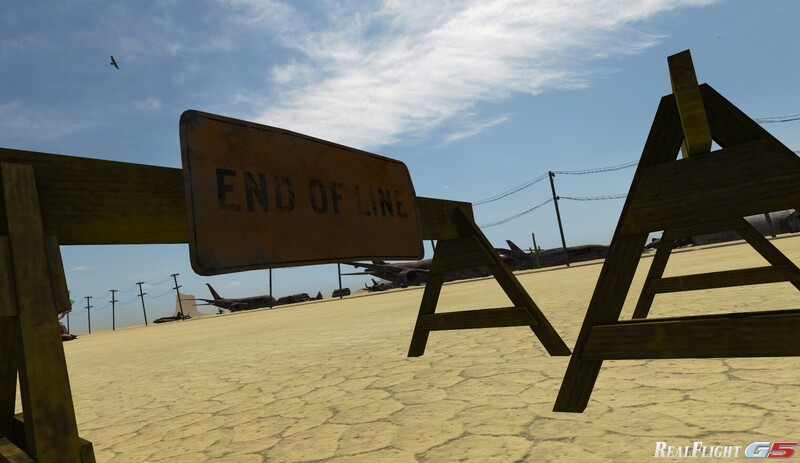 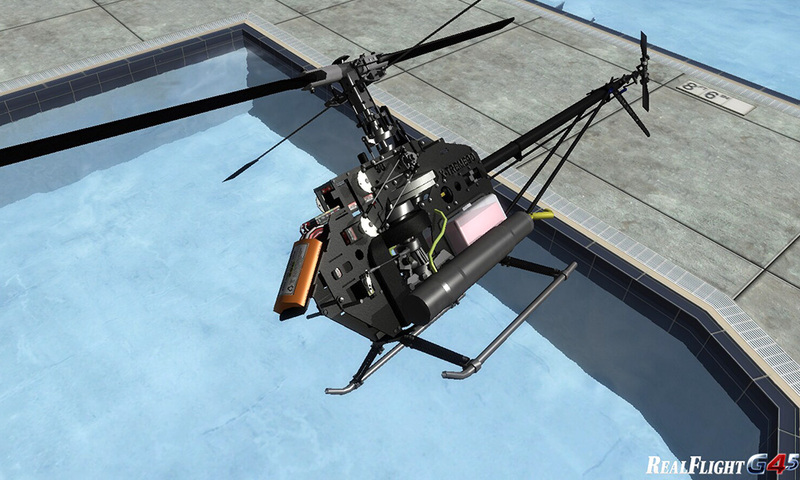 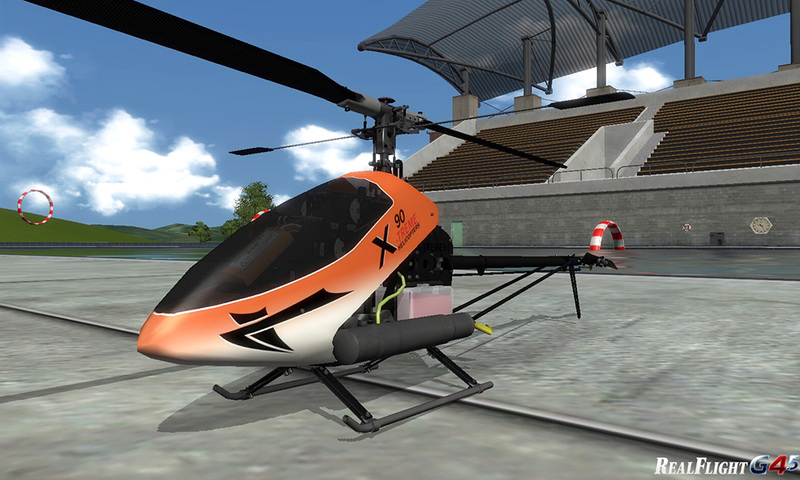 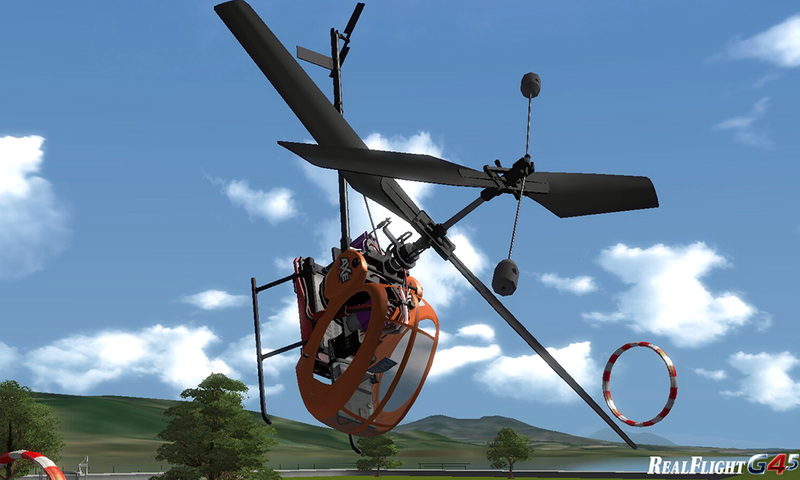 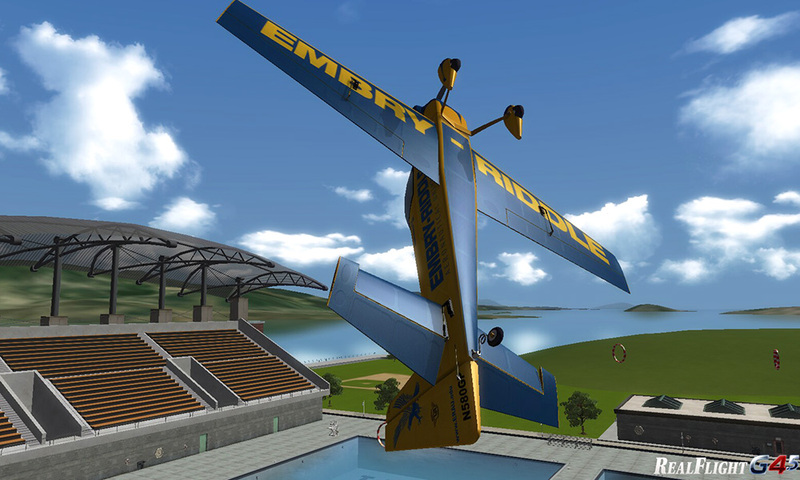 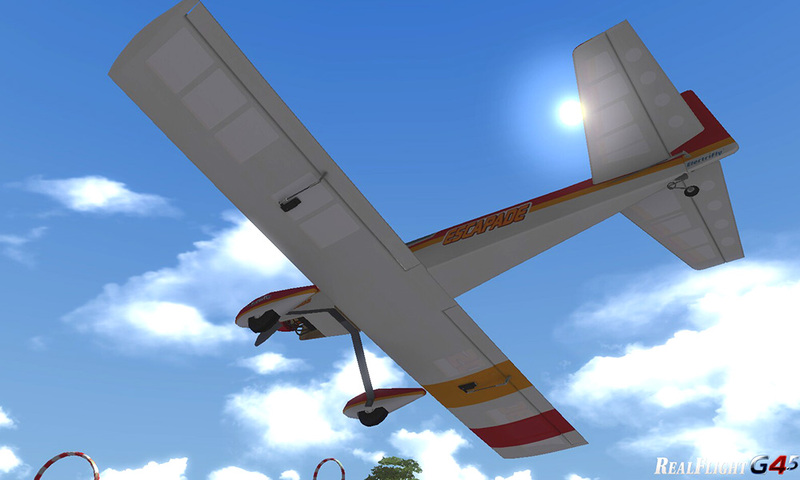 Airplanes created for Knife Edge Software’s RealFlight flight sim Expansion Pack 6 and G5. 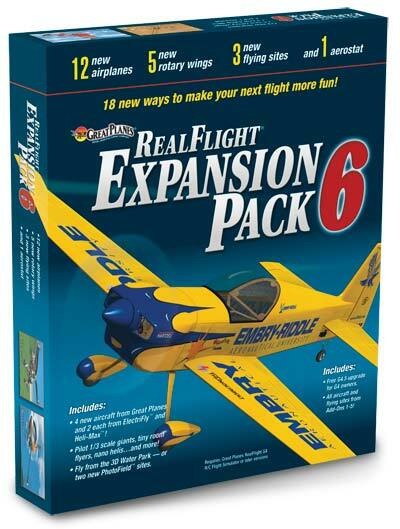 The Matt Chapman Eagle model made the box art. 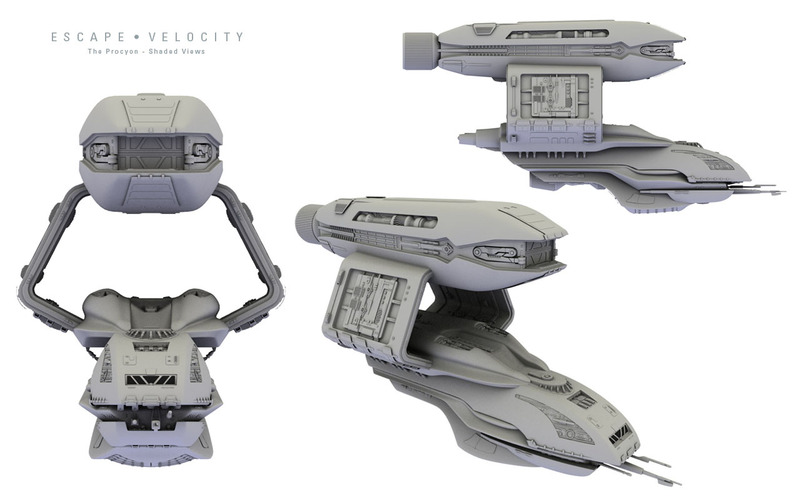 A three-view of the Procyon from an earlier post. 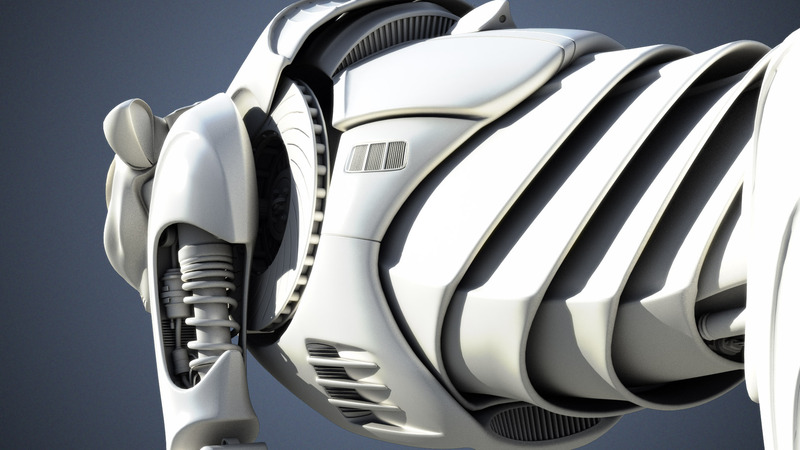 One of the problems I realize with this blog template is that, pretty as it is, it needs a lot of redundancy in referencing earlier posts due to the one-image-per post setup. 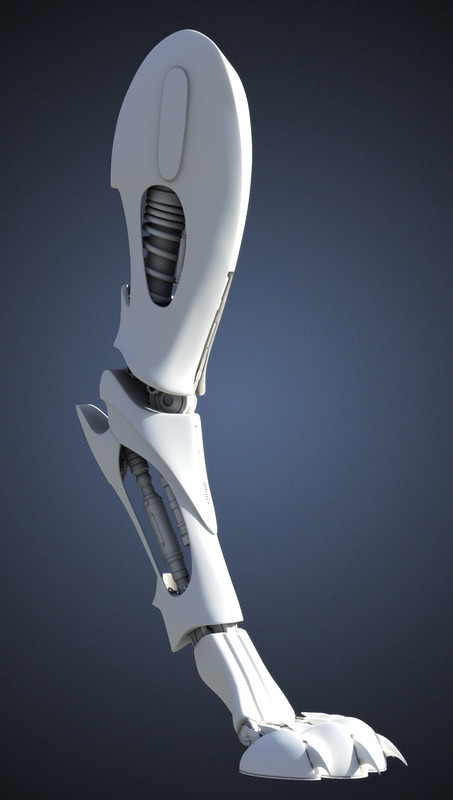 Sci-Fi Tool Case, pt 2. 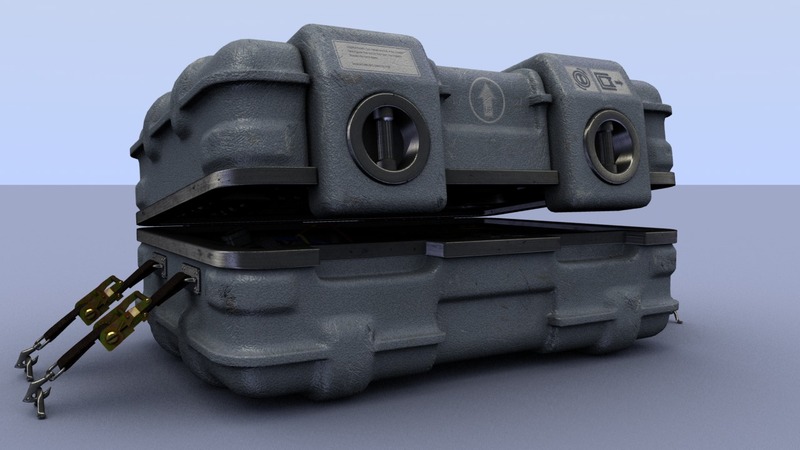 An almost-closed version of the tool case in the prior post. 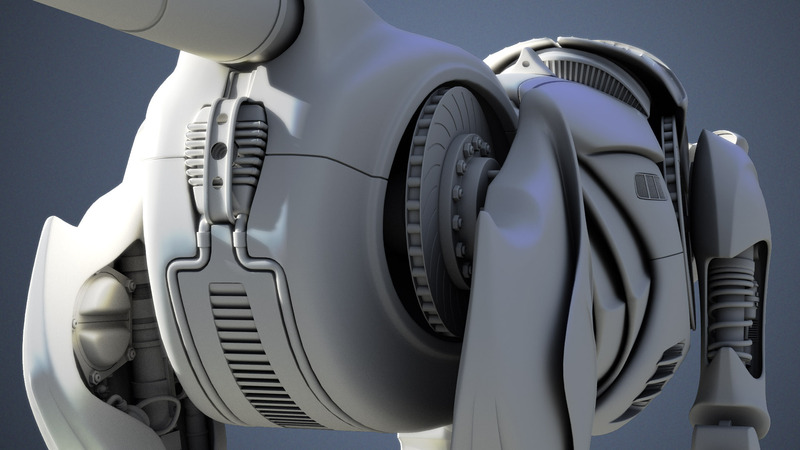 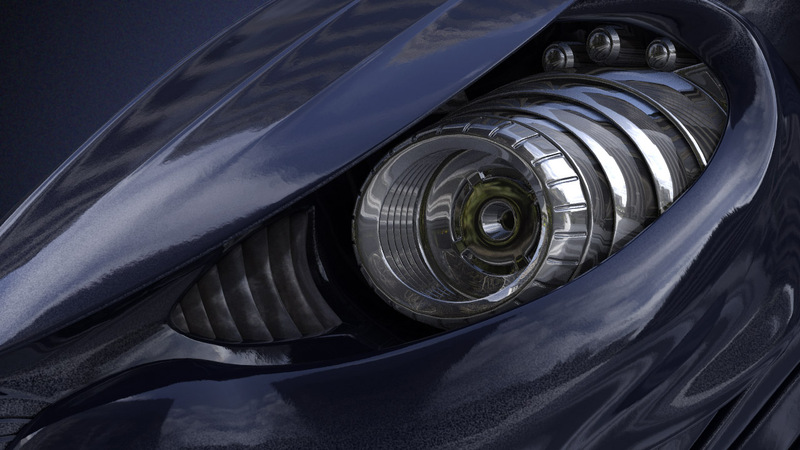 Since my partner and I weren’t striving for total photorealism on the project this was for, there were some shortcuts taken on things like metal to speed up render times. 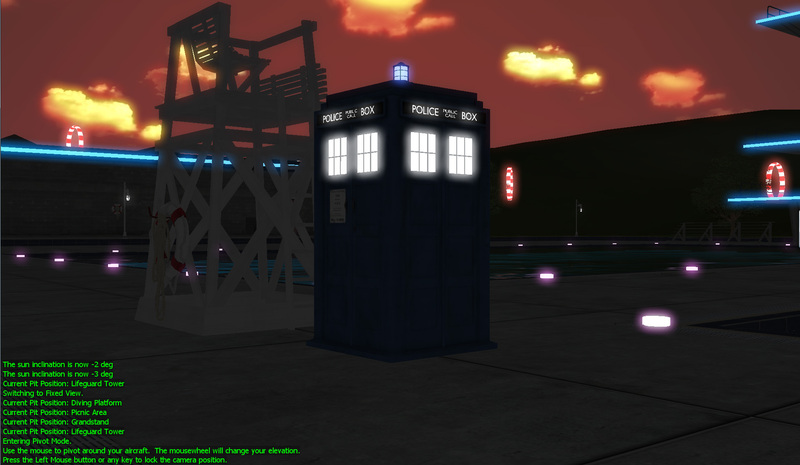 All the metallic surfaces on this are an anisotropic shader with a dozen or so specular-only lights aimed at it. 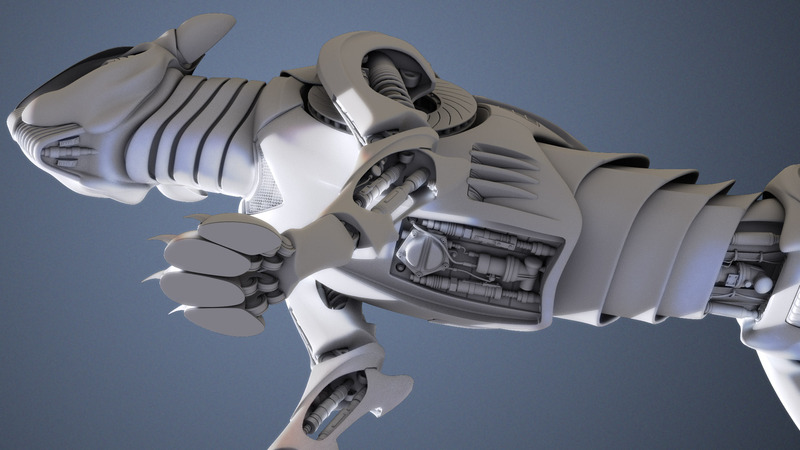 It’s cheap, but looks decent and renders a lot faster than raytracing all of it. 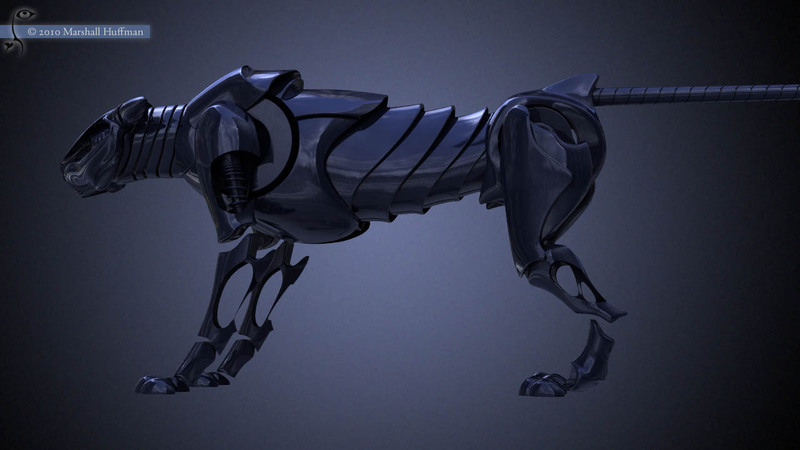 I think this is one of the more successful images, with enough blacks and very dark areas that it reads, visually, as metal.